On 5 March 1917, the War Cabinet approved a proposal by Sir Alfred Mond, the Commissioner of Works, that a museum be founded to record the events of the First World War. For the first time in Britain, a national museum would be dedicated to a specific conflict and would set out to record the contribution made by all sections of society. The museum initially struggled for direction on its remit. The first director, Sir Martin Conway, felt that the museum should also be a memorial and the name 'National War Memorial' was put forward. This was dismissed by the War Cabinet on the grounds that any national memorial should be somewhere central and prominent, and not in a museum. Grand plans for a purpose-built building in Hyde Park with a Hall of Honour and Memorial Gallery were abandoned. More successful was Conway's assertion that it should be a museum for all – craftsmen, women and young people as well as sailors, soldiers and airmen. His vision was that in years to come, anyone who had taken part in the war effort could visit the museum, point to an exhibit and say, 'This thing I did'. 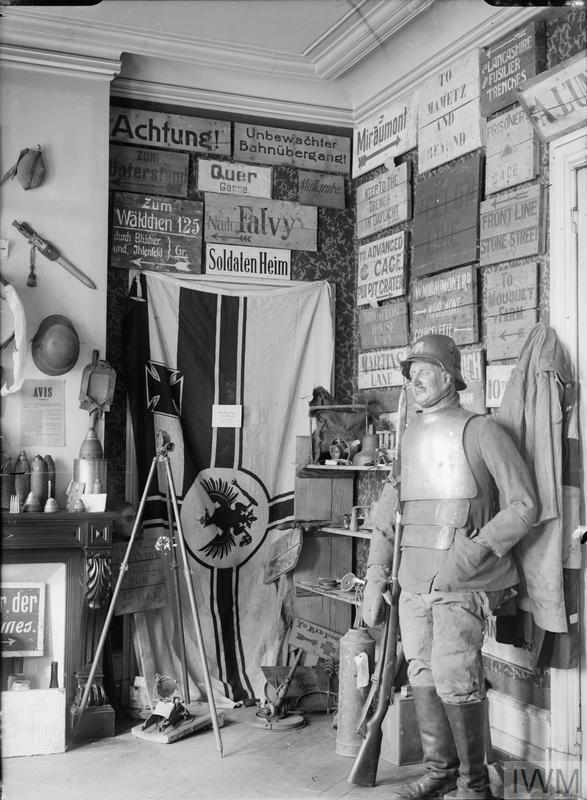 This the museum achieved, with sections created to collect material relating to, the services, women, children, religious life, medicine, munitions and more. Throughout the latter stages of the First World War, there was a small team of staff attached to General Headquarters on the Western Front tasked with gathering material for the museum's collections. The museum's name was changed in November 1917 at the request of the India and Dominions Sub-Committee, who wanted a name that ensured 'India and the Dominions would feel that their part in the War would be permanently commemorated in the centre of the Empire'. The museum held temporary exhibitions in a variety of locations between 1917 and 1920, but settled on Crystal Palace as a more long-term home. 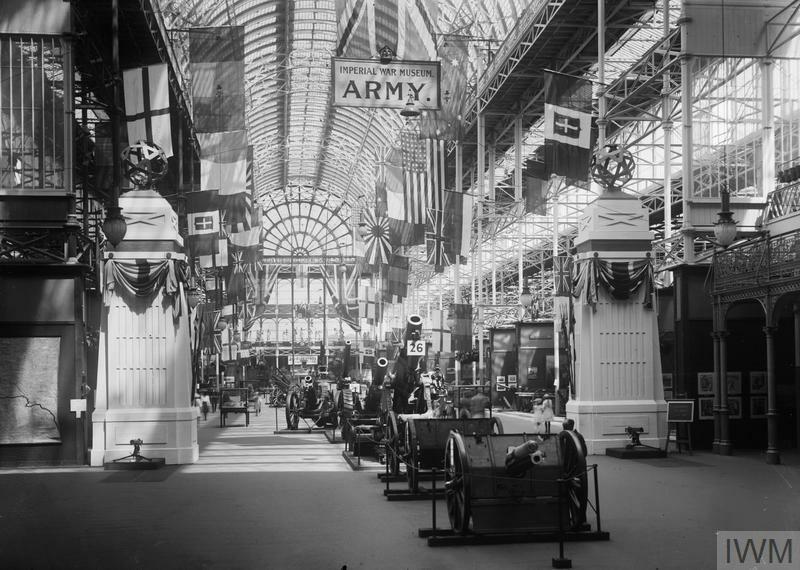 By the time it opened there in July 1920, the Imperial War Museum had over 150,000 items.